Why shouldn’t you hire a handyman to refinish or paint your kitchen cabinets? There is a big difference between a handyman and a professional. Both of them might offer the same service at a varied price, but the quality an experienced, registered and mastered professional can provide you, cannot be matched by that of a layman’s. That said, the services and finish which is provided by a professional is always satisfying and worth the money you pay for, whereas a handyman’s services might leave a question in terms of the quality of products he is using, his way of handling the products and apart from all this, the hassle you will have to go through in engaging yourself as well as your resources to accommodate him! Whereas hiring a professional to do the job might cost you a few more bucks but you will soon realize the benefits of it once you get done with the job and are satisfied with it. “Jaworski Painters” are a registered professional ‘House Painters’ and skillful ‘Kitchen Cabinet Refinishers’ who pride themselves to be one of the most reliable and efficient house painting companies with a successful experience of 30 years in the relevant field and a number of satisfied customers. We provide the free consultation to those of our customers who find it challenging to select a perfect color to choose from for a certain area which they plan to get painted. It is of utmost importance to choose the most suitable color to revive the look. Hence, our team of seasoned professionals along with their skillful painting services, provide free consultation on the most befitting hue to choose for a particular area. 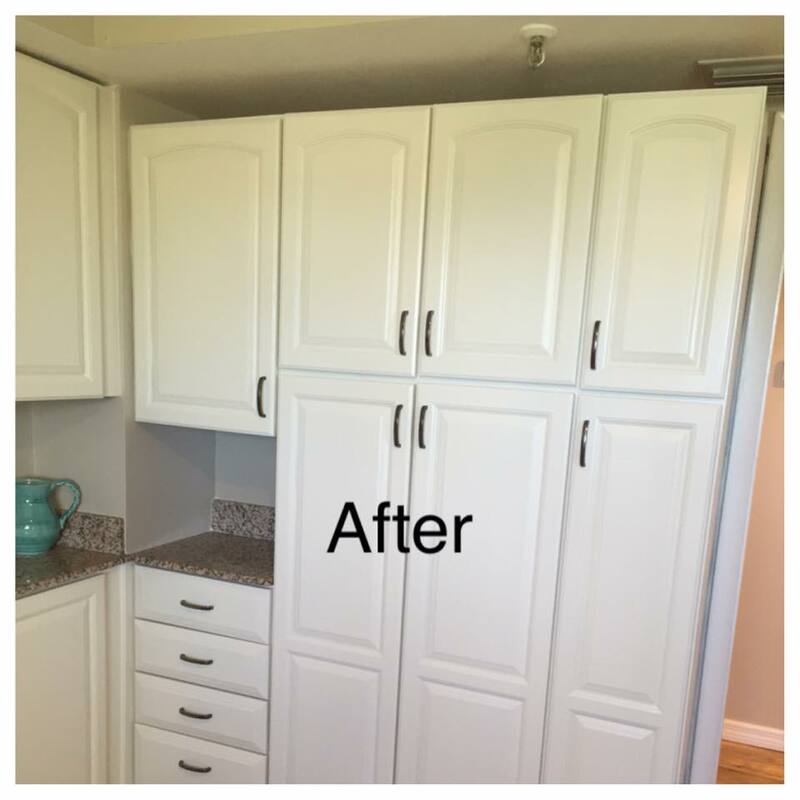 Along with high in quality painting services, we also accommodate refurbishment of worn out cabinets. 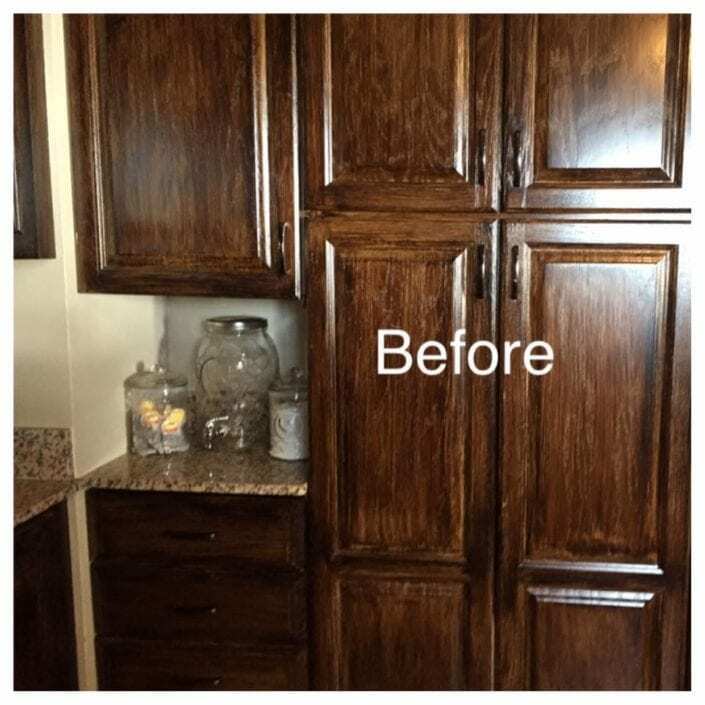 Painting kitchen cabinets is a much more reasonable deal rather than replacing the whole installation and spending a huge amount on something which can be easily fixed. In all our services, we provide a hassle-free and efficient, best quality of work and cater to you as much as we can in a way that is beneficial and tension free for you. We see our clients as our assets, hence, we offer a 3-year guarantee on all our services. Once you put your trust in us, we make sure that you get the most out of our services in the very best way possible. If you are looking for selling or renting your property, we also provide a thorough cleaning and refurbishing of the house with our pressure clean method and the overall cleaning of the house through a very dependable cleaning staff. This will increase the value of the property by a mile. But even if you don’t plan on selling or renting, it is always nice to have a squeaky clean place to live in!